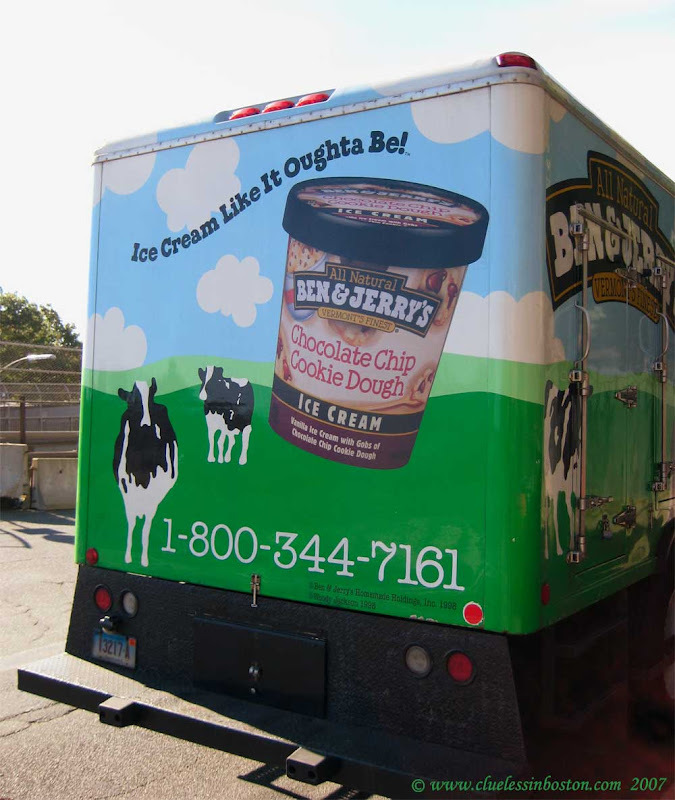 A very colorful Ben and Jerry's ice cream truck parked on the street in Boston. Ben and Jerry's is great tasting New England ice cream and is a personal favorite. Yum! My favorite kind too.